What is Deregulated Energy? Most of us never think about where our energy comes from. We turn on the light, or flip on the stove, and we expect power and gas to rise to our beck and call. Because we trust our energy providers to get the job done, and to make sure we are adequately provided with power. Additionally, for most of recent history, our energy providers were tightly regulated by the government. Because electricity and natural gas are seen as requirements for living, just like water, they were seen as too important to leave up to the changes of the free market. However, thanks to changes in the laws, there are several places throughout the United States where states have begun to deregulate energy monopolies. In fact, DeregulatedEnergy.com has a full list of which utilities have been deregulated in which states. The name is fairly self-explanatory; deregulated energy is when a monopoly (typically held by the government) is loosened to encourage more competition between energy providers. If, for example, a region’s energy is provided entirely by a single provider that has government sanction, then deregulation would allow other energy companies to offer their own services as competition. In theory, this deregulation serves the customers. Because while a monopolized energy supplier is reliable and traditional, introducing competition into the market gives customers more options to choose from. This makes it possible for people to choose the least expensive provider from a choice of several, or to pick an energy provider whose policies and sources they approve of (if, for instance, someone wants to buy their energy from a solar power provider, instead of one who may offer lower rates, but uses coal-fired power plants). While the theory of competition is good, there are still locations in the U.S. who have held off deregulating their energy. Because, as has been shown in the past, what works in theory and what works in practice may be two different things. Will We See More Deregulation In The Future? The question of whether or not to deregulate energy is a constant tug of war. Businesses obviously want the chance to step into a lucrative market, and consumers want the ability to choose between multiple providers in order to find the best possible deal. This is particularly true when it comes to new sources of energy, like wind and solar farms which can offer clean energy at competitive rates to both business and homeowners thanks to recent leaps in technology. On the other hand, though, energy is not like choosing who makes your sneakers, or where you buy your car from. 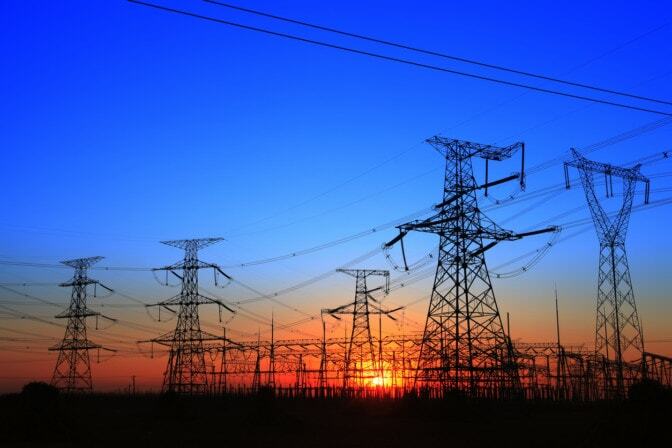 Electricity, and natural gas, are necessities of life in today’s day and age. This is why some states, willing to take the risk for the potential reward of a deregulated market, have allowed pilot programs in the electricity and natural gas markets. No one seriously believes that it’s safe to simply do away with any and all regulation overnight, especially since the system has relied on those regulations for decades. Instead, these pilot programs reduce the regulations as a kind of trial period, seeing what happens when other companies are allowed to play in the pool that was, until recently, a monopoly. Now, not every state is eager to jump into this experiment. With that said, even the states that don’t have pilot programs of their own are watching the results carefully. Because if there are lessons to be learned from asking the question, “What is deregulated energy?” then it’s a good idea to observe in order to see what works, and what doesn’t, before trying it yourself. Agree or Disagreee? Leave a Reply! link to listing of deregulated utilities is broken.